El Centro Cultural Tijuana, known colloquially as El Cubo.Courtesy of El Centro Cultural Tijuana. It seems that talking about borders and walls in these times is much more common than talking about bridges, alliances or free trade among the nations of the world. However, for the city of Tijuana, talking about connections and intersections, and how to make the most of them, has been an everyday pastime since the city was founded barely 127 years ago. That’s because our young city collides with the city of San Diego to the north, the municipality of Tecate to the east, Rosarito Beaches to the South and the Pacific Ocean to the west. Since the beginning of our history, we have been linked more to the economic activity of Southern California than to central Mexico, or the capital, Mexico City, some 1,400 miles away. Tijuana’s economic and cultural inter-connection with Southern California is key to our mission at El Centro Cultural Tijuana (CECUT), where I work. The interconnection influences the way we program exhibitions, musical concerts and performing arts events that draw cultural enthusiasts from both sides of the border. Through our artistic offerings, we have helped build and expand a bilingual, transnational cultural community. In 2016, 1,946,000 people visited CECUT for one event or another, of which approximately 15 percent were from Southern California. One of the strategies we use most to attract visitors from both sides of la frontera is to make our content available both in English and Spanish, mainly through social networks and the internet. We also form alliances with tour operators who run tours from the various museums of San Diego. And we also work very closely with museums and galleries in San Diego, such as Mingei International, and the San Diego Contemporary Art Museum at La Jolla. You could say that Tijuana’s cultural affinity for Southern California dates back to before 1776. The first settlers of this area, the indigenous Kumiai, an offshoot of the Yumanos of North America, inhabited the hydrological basin of what is today the Tijuana River and its surroundings. In the late 18th century, Spanish missionaries established Jesuit, Franciscan and, later, Dominican settlements along the peninsula of Baja California, and in what decades later would become the U.S. state of California. Through our artistic offerings, we have helped to build and expand a bilingual, transnational cultural community. From these beginnings, Tijuana-San Diego arose as a single region, split apart politically only after the signing of the Treaty of Guadalupe-Hidalgo in 1848, which ended the Mexican-American War. Yet the intrinsic, dynamic connection between the two cities remains, as can be seen in the overlap of key industries such as tourism, aerospace, the medical sector and electronics manufacturing. Not to mention the 150 million annual crossings that make the Tijuana-San Ysidro border the world’s most heavily trafficked. The region consists of a total population of about 6.5 million, making it the largest binational metropolitan area on the U.S.-Mexico border, now called Cali-Baja. A good part of this cross-border traffic is cultural—by musicians, visual artists, writers, and filmmakers, some of whom are currently shooting the series “Fear the Walking Dead” in Baja California. 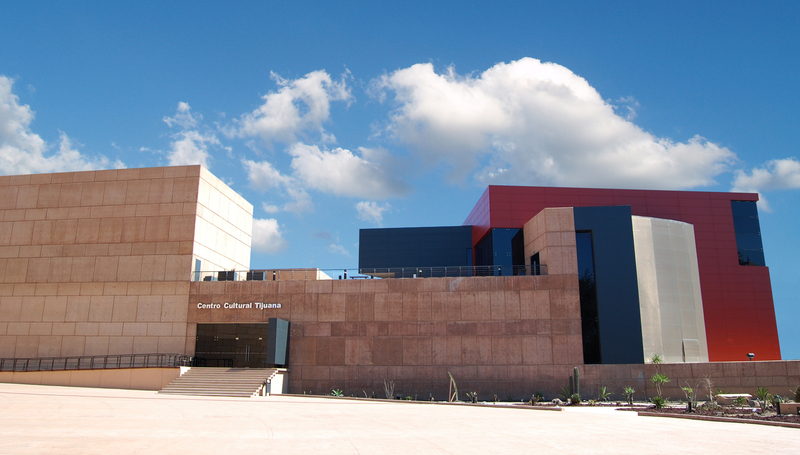 El Centro Cultural Tijuana exists within this cosmopolitan and binational context. It was founded on October 20, 1982 by the Mexican federal government, in an area of ​​3.5 hectares, as part of the National Fund for Social Activities (Fonapas) project, which sought to strengthen our national identity along our northern border and promote cultural tourism from the United States. Cultural centers were planned in other northern border cities, such as Ciudad Juárez and Tamaulipas, but only Tijuana’s was finished. CECUT consolidates the broadest and most diverse cultural offerings in the northwest region, and its infrastructure is the most substantial of any project of the Ministry of Culture outside of Mexico City. 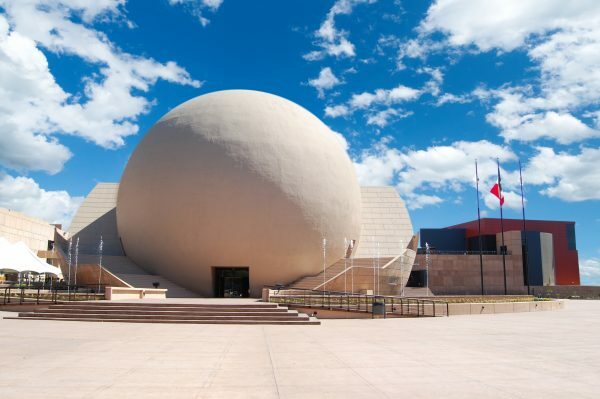 Its facilities include the 300-seat circular IMAX Dome, which screens documentaries and educational films; and the Museum of the Californias, which was inaugurated in 2000 after a major renovation of the central building, and houses the most complete display anywhere of the peninsular history of Baja California, from its first settlers and the missionary era through World War II. The IMAX dome at El Centro Cultural Tijuana. Courtesy of El Centro Cultural Tijuana. Our 1,000-seat performance hall regularly programs musicians and other performing artists with cross-border appeal: Diego Ramón Jiménez Salazar, aka “El Cigala”; Concha Buika; Fito Páez; Julieta Venegas; the Orchestra of Baja California; the Mainly Mozart Orchestra; the Amalia Hernández Folkloric Ballet; and a wide variety of theater. In recent years we’ve hosted an exhibition of “Frida Kahlo’s Photos” and a show of European painting, in coordination with major Mexico City museums, such as the Soumaya, the Franz Mayer and the San Carlos. In this way, Tijuana brings works that normally stay in the capital city hundreds of miles closer to border art lovers. We have shown the work of 20th-century masters like the Mexicans Rodolfo Morales and Dr. Atl, and the Colombian Fernando Botero (known for his gargantuan human figures). We’ve also featured contemporary artists such as Alejandro Santiago and Damián Flores, whose work, which draws heavily on U.S. pop culture iconography, has been exhibited at the University of Southern California and is popular with U.S. audiences and critics. Another part of our facility, the 270-seat Cineteca Tijuana, was inaugurated in 2011 with the aim of being a meeting place for film directors, screenwriters, videographers, actors and public and private institutions of the cinematographic industry. It specializes in Mexican and Latin American cinema, as well as films for children and young people. It was christened Sala Carlos Monsiváis, in honor of the Mexican man of letters, whose witty writings and colorful personality for decades have been a guidepost to many U.S. students, academics, journalists and tourists seeking a richer, more profound understanding of contemporary Mexican culture and thought. Approximately 70% of CECUT activities are free of charge, and the museum and exhibitions are also free on Sundays. The image of Tijuana has perhaps been unfairly hit by safety concerns related to drug trafficking at various times in the past. But CECUT has become a point of dignity and pride for the city. It is not only a cultural center, but also a meeting point for the border citizens of Tijuana and Southern California. Our aim at CECUT is to be a cultural beacon of understanding, dialogue and knowledge that will guide the Cali-Baja binational region to create bridges between the two nations, in times when the tides that steer the world increasingly appear murky, obscure and aimless. Alan I. Bautista Plascencia is Subdirector of Public Relations for the Centro Cultural Tijuana (CECUT).